The medium-sized recording room used on Imperial Drums allows naturally warm ambience and direct mic signals with superb isolation. Many included instruments provide alternative ambient and direct mic sets for increased variety. Finally, 13 stick and beater types including hot-rods, webs, rutes and jazz brushes were used to play the instruments. an extra set of 5 Remo Rototoms played with woode, blades, brush, mallet, hortod sticks. Features Drums Particles engine features (formerly Drum Singles). 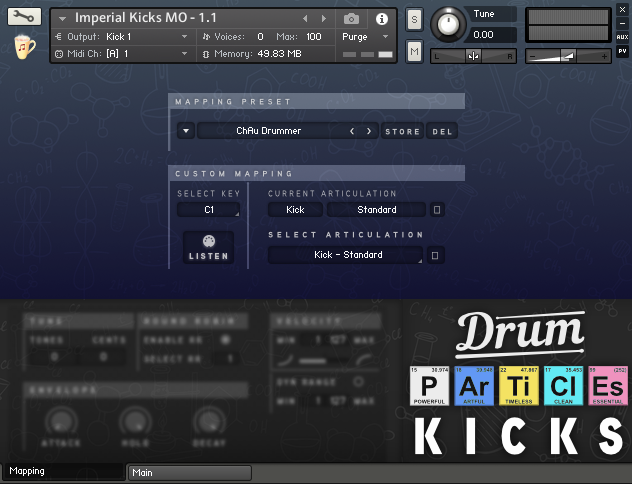 This is a selection of audio demos for Imperial Drums, made over the years. For more info on the demos, please hit our Soundcloud page. 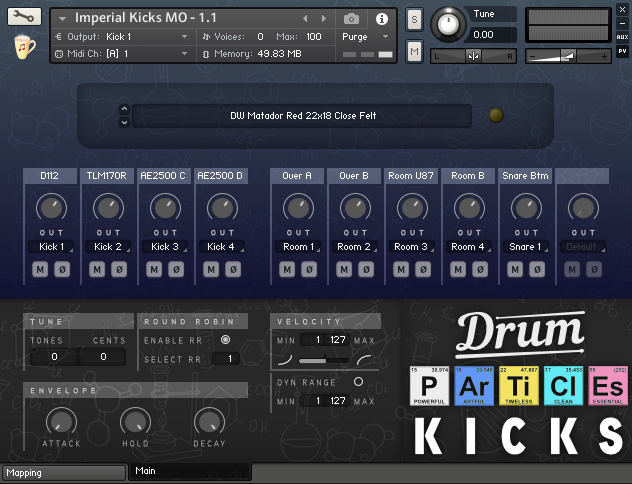 Some of these audio demos are tracked from the BFD version of Imperial Drums (marketed by Fxpansion), but the two share the same exact sample set, hence they testify the kind of sounds one can achieve.